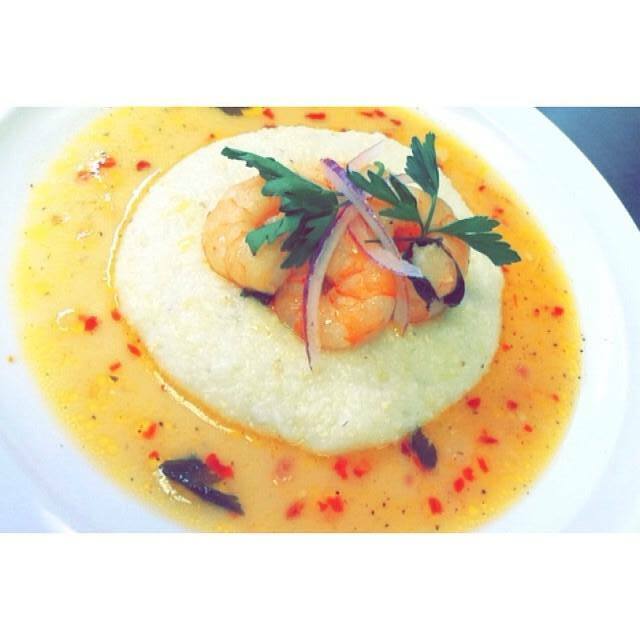 This dish by Mary Gilliard looks too good to eat! We all know that there are some extraordinarily good cooks at The Unknown Cook. Whether we are cooking for a special occasion or in our daily routine, there are some amazing dishes on display for all to see. None are more appealing than our newest member, Mary Gilliard. Mary brings more to the group than just awesome food dishes. She brings inspiration. 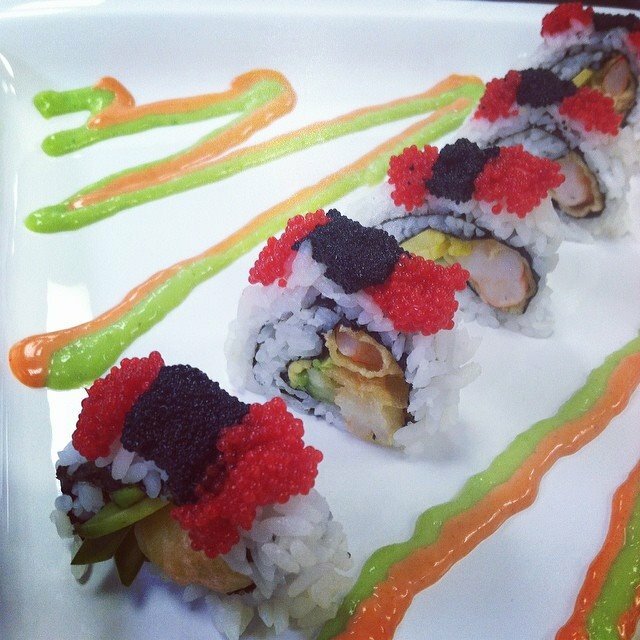 Spectacular display with this Sushi dish! everyone. The “wow” factor put a hush over the crowd. Were we saying “wow” because of the pulchritude of Mary’s creations or that she is just seventeen and produced something so extraordinary? I would venture to say both. Mary is in the culinary arts program at the Dorchester County Career and Technology Center in Dorchester, SC. The DCCTC can definitely be proud of what Mary and other culinary students are accomplishing through their program. Mary is entering her senior year in high school. With this kind of talent she possesses, we are sure that Mary will be a welcomed addition to many food service establishments. Thank you Mary for being a part of The Unknown Cook community. We look forward to your progress and success in the near future. We’re all sitting and waiting for your next posting in the group. Posted on July 11, 2014, in Uncategorized and tagged articles on cooking, baked salmon, barbecue chicken, bbq chicken, chicken recipes, cooking, cooking show, dessert recipes, dorchester county career and technology center, filet mignon, fried fish, fried tilapia, how to barbecue ribs, how to ribs, Mary Gilliard, spare ribs, steaks, sushi, unknown cook. Bookmark the permalink. 1 Comment.